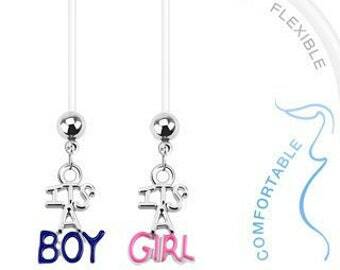 Keep you belly button piercing during pregnancy with a flexible maternity belly button ring. It is standard 14g with 2 silver balls on the ends. It is 2 inches long. Instructions on how to shorten it are included with your order. It'll definitely work as a temporary belly ring. 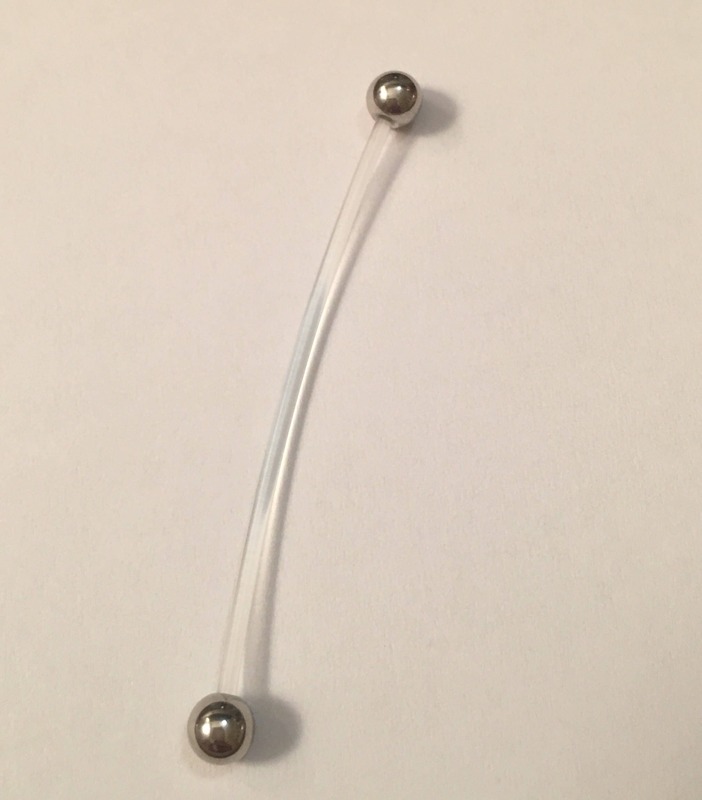 However, my skin reacted to the metal balls, and I hoped the the plastic bent and stayed in place (versus staying a straight line). Overall, it is flexible and I can use the metal balls with my other metal rods.